Karen A. Giannelli | Professionals | Gibbons P.C. Ms. Giannelli is a Fellow and Board Member of the American College of Bankruptcy, a Fellow of the American Bar Foundation, and is listed in the most recent editions of the Chambers USA Guide to America’s Leading Lawyers for Business, Best Lawyers®, and New Jersey Super Lawyers. She is AV® rated by Martindale-Hubbell. Since the inception of her career as a financial restructuring attorney, Ms. Giannelli has represented business debtors seeking to reorganize under chapter 11 of the United States Bankruptcy Code. Ms. Giannelli recently represented business debtor, United Gilsonite Laboratories (“UGL”), a Pennsylvania corporation, in its asbestos-related chapter 11 case filed in the United States Bankruptcy Court for the Middle District of Pennsylvania. The goal of UGL’s filing was to obtain a channeling injunction under section 524(g) of the Bankruptcy Code, necessary to deal with a flood of asbestos-related complaints asserting personal injury and wrongful death claims, as well as the potential future asbestos demands that will inevitably be made. Ms. Giannelli was well situated to represent UGL in its asbestos-related bankruptcy case as a result of her experience in similar cases where a channeling injunction under section 524(g) of the Bankruptcy Code, or a variation thereof has been obtained on behalf of the firm’s clients. Such cases include her representation of debtors or their majority shareholder(s) in the following chapter 11 cases: Nutraquest Inc.; The Muralo Company; and American Family Enterprises d/b/a American Family Publishers. Other notable chapter 11 debtor cases in which Ms. Giannelli played a major role include Elsinore Shore Associates, d/b/a The Atlantis Casino Hotel, the first NJ casino to be reorganized; the reorganization and subsequent orderly liquidation of Herman’s Sporting Goods, and Oliver’s Stores. Ms. Giannelli recently represented the Official Committee of Unsecured Creditors of Trump Entertainment Resorts Inc., et al., in jointly-administered Chapter 11 cases filed in the US Bankruptcy Court for the District of Delaware. In this representation, the team led by Ms. Giannelli pursued a number of value-maximizing strategies for the benefit of unsecured creditors, who were offered no distribution under the debtors’ initial reorganization plan. These strategies included conducting an investigation of the secured lenders’ liens, claims, and pre-petition conduct, and seeking standing to commence litigation against said lenders on behalf of the debtors’ estates. After over four months of contested proceedings, the Committee was successful in negotiating a global settlement with the debtors and their secured lenders (certain affiliates of Carl Icahn), obtaining a $3.5 million cash settlement for distribution to general unsecured creditors – i.e., an increase of $3.5 million over the initial cash distribution that the Trump debtors and their lenders had offered these creditors at the inception of the cases. Ms. Giannelli has a long history of representing fiduciaries in federal and state insolvency proceedings. Recently, she represented the chapter 11 trustee in the DBSI Inc. bankruptcy, one of the most extensive, far-reaching, complex business bankruptcies filed in the District of Delaware, involving more than 150 debtors and continues to represent the trustees of the four liquidating and litigation trusts created under the trustee’s complex joint liquidation plan, which she successfully confirmed in October 2010. Representation has involved, among other issues, significant, challenging questions of corporate governance, substantive consolidation, fraudulent transfers, breaches of fiduciary duties and conflicts of interest, and numerous contested matters relating to the debtors’ multimillion-dollar real estate portfolio. Approximately 34,000 creditor claims have been filed, the largest number of claims in a single case ever handled by the debtors’ claims agent, and liabilities have been estimated to be about $600 million. The presiding bankruptcy judge called the chapter 11 cases the second most complex group of business bankruptcy cases filed in his court. In other notable fiduciary representations, Ms. Giannelli had a primary role in the representation of the chapter 11 Trustee in Marvel Entertainment Group, Inc., a hotly contested battle over corporate governance between Carl Icahn and Ronald Perelman, and representation of the New Jersey Commissioner of Insurance and Banking in the role of rehabilitator and, subsequently, liquidator of The Mutual Benefit Life Assurance Company. In April 2009, Ms. Giannelli, was appointed the chapter 11 Trustee for a medical doctor and his wife, whose primary assets were two operating resorts located on Sanibel Island in Florida; a large, residential waterfront estate in Middletown, New Jersey; and a small professional office in Holmdel, New Jersey, estimated at $30 million in total value and subject to liens aggregating $15 million. Unfortunately, the Trustee has had to contend with depressed real estate markets in both Florida and New Jersey, which was consuming the estate’s equity in those properties. The Trustee’s job was made more difficult by having to deal with a recalcitrant doctor who preferred dabbling in real estate to practicing medicine, thereby creating monthly cash flow emergencies and often ignoring the Trustee’s authority over disposition of the estate’s assets. Given the challenges of operating resort properties in Florida, the Trustee turned her attention initially to the engagement of professional managers for the Florida properties, who operated such properties until the Trustee disposed of same five months later. In connection with that sale, the Trustee substantively consolidated the debtors’ two operating companies for the Florida resorts into the debtors’ bankruptcy estate and succeeded in negotiating a deal with the mortgagee of the Florida resorts that realized cash flow for the debtors’ estates and benefited all parties in interest. After a protracted marketing of the New Jersey properties through two reputable brokers, the Trustee negotiated a consensual auction of the debtors’ professional building with the secured lender and thereafter negotiated a private sale of the debtors’ waterfront estate to the lender, which she coupled with a settlement of the estate’s Section 506(c) claims against the lender. The sale of the New Jersey estate property was complicated by litigation with the municipality over a prohibitive (six-figure) tax bill that the Trustee successfully appealed, as well as litigation with the county and prior owners of the property over irrigation rights. As with similar cases, the Trustee had to tackle the unique issues that arise in individual chapter 11 debtor cases, including issues with respect to the control over the debtors’ income derived solely from the doctor’s medical practice operated as a PC (and, in reality, his “alter ego”), as well as the inability to use estate property to fund fees incurred by the debtors’ counsel. Ms. Giannelli has been a member of various women’s professional organizations, has spoken at various conferences focused on women’s issues, and has served as a leader and role model for women both within and outside Gibbons. In 1985, she was a founding member and the first President of Women in Federal Practice in New Jersey, Inc., a nonprofit organization dedicated to the advancement of women lawyers in federal court practice. She has also been involved in shaping other professional organizations in various capacities. 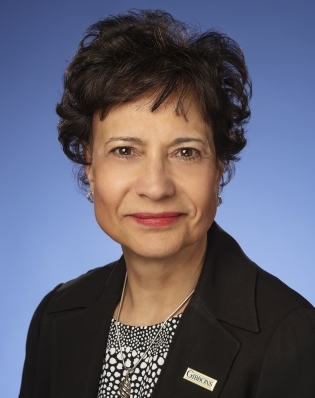 In 2003, Ms. Giannelli was invited to join the Board of the New Jersey Chapter of the Turnaround Management Association, the only international nonprofit association dedicated to corporate renewal and turnaround management, and was thereafter elected as the first female President for a two-year term (2006-2007). She then served a two-year term as Chair of the New Jersey Chapter and remained active as a Board Member through 2017. Ms. Giannelli was also the first female elected Chairperson of the New Jersey State Bar Association’s Bankruptcy Law Section for a two-year term from 1998-2000, having served as an officer from 1986. In 1999, she enjoyed the distinction of becoming the first woman from New Jersey to be elected into the American College of Bankruptcy. At Gibbons, Ms. Giannelli joined with a group of the firm’s women directors to create the firm’s award-winning Women’s Initiative, which serves to develop young women professionals and extends opportunities for mentoring and networking throughout the firm and professional community. Women in Federal Practice in New Jersey, Inc. Counsel to chapter 11 debtor in asbestos bankruptcy case handling formulation of reorganization plan incorporating Section 524 channeling injunction. Counsel to post-confirmation trustee of liquidating trusts created under complex joint plan of liquidation for conglomerate involving widely dispersed real estate holdings and technology companies. Counsel to chapter 11 debtor indicted for violations of state campaign finance laws, responsible for negotiating settlement of civil forfeiture action with State of New Jersey Division of Criminal Justice. Counsel to chapter 11 Trustee in complex case involving over 150 debtors responsible for negotiating and successfully confirming Trustee’s orderly plan of liquidation providing for four post-confirmation liquidation and litigation trusts. Counsel to Official Creditors’ Committee which successfully negotiated a global settlement for unsecured creditors initially offered a “zero” distribution. Chapter 11 Trustee for individual debtors with personal and business real estate assets valued at $30 million, responsible for substantively consolidating debtors’ operating companies prior to sale of debtors’ Florida resort properties. Counsel to leading financial institution as creditor of residential mortgage lender in chapter 11 seeking authority to sell more than 20,000 loans serviced by our client. Counsel to post-confirmation liquidating trust committees in prosecuting avoidance actions. Counsel to major insurance company in rehabilitation/liquidation proceedings, responsible for handling restructure of bond debt through prepackaged chapter 11 cases and sale of remaining insurance assets in state court insolvency case. Counsel to major hotel chain in negotiating buyback of sublease of outdoor signage of critical importance to client’s redevelopment plans. Counsel to multinational Fortune 500 company providing creditors’ rights advice related to business transactions having insolvency-related issues. Counsel to various buyers of assets under Section 363 sales and/or through plans of reorganization. Counsel to parties defending avoidance actions in federal or state insolvency cases.